Any oil that meets or exceeds the mfr’s requirements for weight (i.e. “5W30”) and API grade (“SJ”, “SH”, etc) is fine. These days it seems most cars fall apart before the engine blows up. All the oil mfrs try to differentiate themselves, and there may be slight differences in additives, but the main thing is that the oil has the proper weight and service grade. Back when we still shopped at Wal-Mart, I’d buy their house brand synthetic oil. It was cheap (for synthetic) — $2.97 vs. maybe $5 or so for the name brand oils at the time. I figured it had to be made by one of the major oil companies, and it had the proper ratings. I’ve always used synthetic, but primarily as a little added insurance since I use the longer “regular service” 7,500 mile oil change intervals (instead of the 3,750 or 5K mile “severe service” intervals). I didn’t exactly baby my cars when going back and forth to work, but they’ve held up well. My 2002 Subaru WRX is actually modified and putting out quite a bit more hp and torque than stock — 285/285 vs. (I can’t remember the stock numbers exactly exactly), maybe 224/218. Needless to say, this puts more strain on the engine and the oil. I’ve had the oil from the Subaru tested twice — once about 5K miles since it was last changed, the second time after around 7,500 miles. Both times the lab (Blackstone) said it was fine. In fact, they said I could run it for a couple thousand miles longer but I figured I’d stick with 7,500. My primary vehicle prior to buying the Subaru was a Nissan NX2000. It has about 250,000 miles on it and runs great. The Subaru has close to 200K miles and still runs very strong. Neither burn very much oil. I may have to add 1/2 quart between changes. A lot of people are still under the misconception that they must change their car’s oil every 3K miles. The oil change places like Jiffy Lube are all to happy to support this myth. Last I noticed anyway, they were still pushing the 3K mile oil changes. I’m not aware of any auto mfr that has less than a 3,750 mile interval, and that’s for “severe service” — police, taxi, towing, lots of short trips (engine never gets fully warmed up), lots of dirt roads/dust, etc. The “severe” oil change interval for our Toyota RAV4 is 5,000 miles (its normal interval is 7,500). Your car might qualify for the shorter interval (whatever is in your owner’s manual) if you do a lot of driving in town –especially during cold weather. If it’s mostly longer road trips then go with the longer interval. Again, any oil that meets the mfr’s specs is fine. I’m not sure whether or not to recommend synthetic if a vehicle qualifies for the mfr’s “severe service” interval. On the one hand it seems wasteful to drain & replace synthetic oil so frequently. On the other hand, for those who live in colder areas, it does continue to flow well down to very low temps, maybe -50 degrees F or so. I don’t have the numbers in front of me, but essentially, unless one is exploring Antarctica, there are no worries with synthetic oil in the winter. It also (according to the mfrs) creates a protective film that remains on engine parts longer than regular petroleum oil. I’ve heard that about 90% of engine wear occurs at start-up, particularly cold starts (after sitting overnight say). That makes sense, because almost all of the oil drains back down into the oil pan, and it takes a few seconds for the oil pump to start working and push oil through all of the galleys and passageways in the engine. Meanwhile, most of the moving parts of the engine have little/no lubrication. So…I suppose I’d suggest that most people use synthetic oil regardless of the change interval. 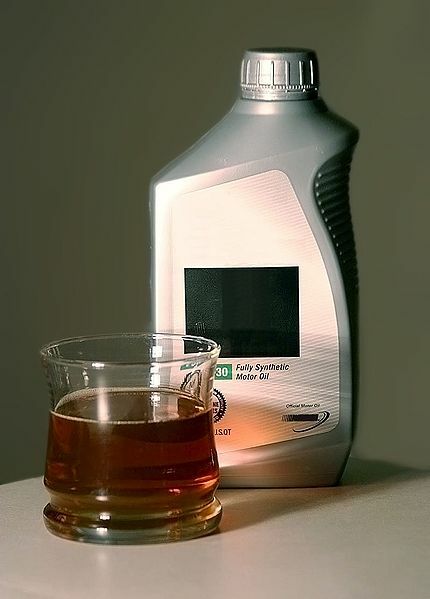 Synthetic oil has qualities that benefit all engines — although some benefit more than others. For example, take a car that’s driven gently, always over long distances (enough to fully warm up the engine), in a mild climate, on paved roads (no/little dust), no extended idling, no towing, etc. _That_ vehicle probably would see very little if any benefit from synthetic oil. However, most vehicles do not fit that description. It’s worth mentioning that using the longer (7,500+ mile) service interval saves: resources (oil, and steel for the oil filter); time (whether you do it yourself or go to a shop); and money — less oil, fewer filters, and less in labor charges for those that go to a shop. Of course, people should always use the shorter interval if there’s any question as to whether their vehicle falls in that category. Some mfrs (like Mercedes) have an ECU (engine control unit) in some of their vehicles (maybe all now?) that keeps track of how the vehicle is driven and recommends oil changes based on operating conditions. The high end of the oil change interval range is from 10,000 to 25,000 miles. The high end is with synthetic oil and under ideal driving conditions — decent temperature, no short trips, mostly highway miles (very little idling and stop-and-go). BTW — Costco sells Mobil 1 synthetic oil for ~$35/case of 6 quart bottles. Not bad compared to the typical dept store or auto parts store price of ~$8/quart. Occasionally, Costco offers a $10 ‘instant rebate’ on Mobil 1 — making the price just over $4/quart, a very good deal. This entry was posted in automotive and tagged major oil companies, motor oil, oil change interval, oil change intervals. Bookmark the permalink.